Not every hen night has to be built around falling about bars and taking embarrassing photos from the roof rack of a limo. There’s plenty to do in Brighton outside of getting steaming drunk and kissing strangers! If you all want to enjoy twice nights quality accommodation, invitation to the comedy club as well as a go karting session to show the boys how it’s done then this the perfect combination package for you! At BUSINESS we prepare accommodation for hen parties, and help to plan the best possible entertainment at the finest venues. We know the best places to go for everything, so if you have any questions about planning your night together in Brighton then let us know and we can do everything we can to meet your needs. You’ll be placed in a multiple accommodation situation that means you can all sleep in the one room and have a quality night together, and make sure that the drunkest of the party get to sleep alright and without any disasters! We also help plan entry into some of the best nightclubs in Brighton for you, by getting you guest list access for everyone. This means that you can all dance the night away, just remember you’ll be going karting the next day so don’t’ get too drunk! 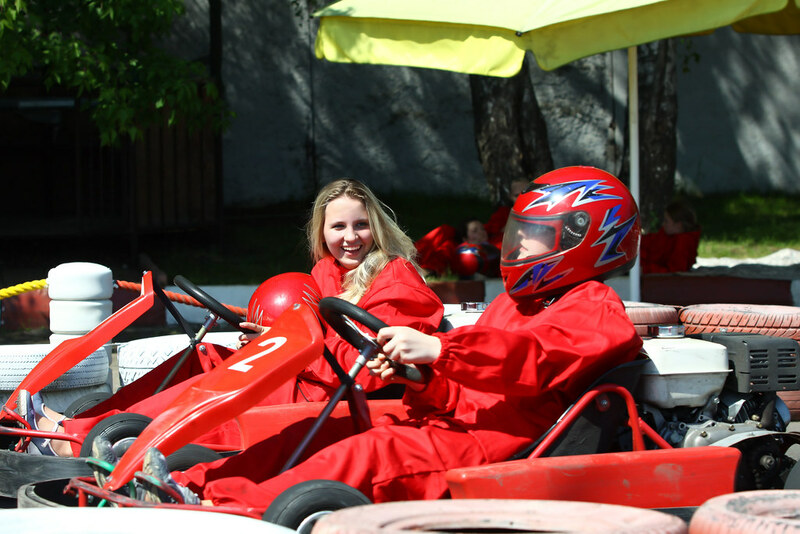 The go-karting will take place with some of the finest tutors in all the land so that you can all get the quality of experience that you want. This saves anyone feeling uncomfortable about the driving as you’ll be able to take it as slowly as you like or go as crazy as you want! The karting session is all about just letting loose and going a little nuts so long as you follow the instructions given by the guides. They know what they are talking about, so maybe give them some consideration when they talk! Alongside your mad night out and your karting exercise held at the brilliant LOCATION, you’ll get to visit the comedy club for a high-end performance from three top stand-up comedians. You’ll hear some brutal jokes and really off the rails patter, but you’ll all leave the comedy club in the highest of spirits! We’ll arrange the comedy club requirements that you have around your arrival so that we get the finest comedians that we possibly can for you to suit everyone’s tastes.